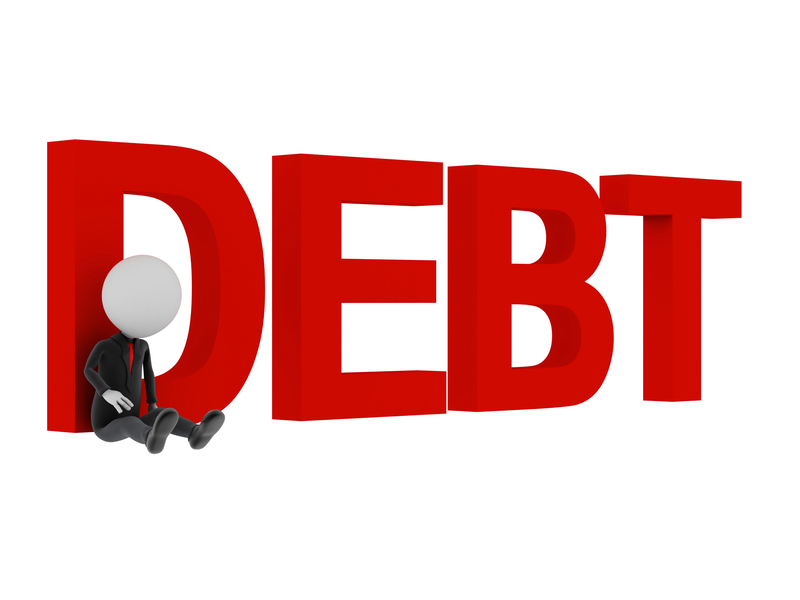 Most of the time, the word “debt” has negative connotations. Debt costs you money and therefore takes money away from financial goals like saving and investing. So could there ever be good debt? That’s no easy answer. How you use debt has a big impact on whether or not you can consider it “good.” If you have too much of a “good” thing — that’s when it can turn into bad debt. So let’s consider 3 types of debt: investing in a college education, buying a home, and starting a business. 1. Are Student Loans Always Good Debt? Student loans aren’t always good debt, because most people don’t consider how long they’ll be paying back their student loans when they take them out. But that doesn’t make them bad. If you take them out to obtain a job that you could have only secured with a college education and earn enough to make your student loan repayments manageable, your student loan debt was a good debt. Keep your total loans under your projected starting salary when you graduate. If you’re able to do that, you should be able to pay them off with the standard 10-year plan. Cut down on the loan amount. Get college credits while you’re in high school, go to a community college for your first two years, stick to a state school, and apply for scholarships. Get a job to pay for your living expenses while you’re in school so you don’t take out loans for living expenses. Keep in mind that private student loans don’t offer the flexibility of federal loans, so try to apply for federal student loans first. Check out our FREE student loan calculator here to help manage your student loan debt, which will show you how much you can save by consolidating multiple loans or how to pay off your high interest student loan debt as quickly as possible. 2. How Much Should I Borrow for a Mortgage? Owning a home used to be considered the American dream, and for many people it still is. Most people need to take out a mortgage for their purchase. If you think you’ll be in the same area for several years and can put a 20% down payment on a home, a mortgage could be a good long-term investment. Interest rates on mortgages are historically low, and owning a home can also provide tax benefits. The nice thing about a home is that it’s an investment you can live in. Make a 20% down payment so you can avoid paying private mortgage insurance. Don’t use your entire savings account for a down payment. Homes are a hotbed for dipping into your emergency savings, as there are far more unexpected expenses that come up than when you’re living in an apartment. Boost your credit score before you buy. Make sure you have a score above 700 so you can qualify for the best mortgage rates available. This can save you thousands of dollars in interest over the life of the loan. If you think you might move in the next five years, you might want to rent so you don’t have to move during a down market and possibly sell your home for a loss. In figuring out your monthly housing costs, the principal and interest on the mortgage loom large. But don’t forget property taxes, insurance, utilities, repairs, landscaping, snow removal and other factors. Make sure that your monthly housing expenses leave room for other expenses too. 3. What About Using a Loan to Start a New Business? Entrepreneurship seems to be the new job security for many people in this generation. Incurring debt to start a business can be good debt if the funds help you to build a sustainable livelihood that allows you to repay any money borrowed and improve your financial situation. Just be cautious of how much debt you’re taking on. Self-fund your business venture with savings first. The smaller the investment, the quicker you can make money. Do your research and get experience in the field before your launch. Some business opportunities require much bigger up-front investments, which may lead to a small business loan. Did you know First Financial offers Business accounts, loans, and services? We understand that not every business is the same and, therefore, not every loan need can be the same. This is exactly why we look at each individual business and create a customized lending solution to meet your specific needs. Please contact us at business@firstffcu.com and we’ll be happy to provide you with more information on business loans and services. Debt can be good, but only if it helps you leverage your assets to build wealth. Every good debt has the potential to turn bad, so do your research first. The fewer monthly obligations you have, the more money you have to fund a lifestyle that you love. Don’t forget about our free, online debt management tool, Debt in Focus. In just minutes, you will receive a thorough analysis of your financial situation, including powerful tips by leading financial experts to help you control your debt, build a budget, and start living the life you want to live. This entry was posted in Home Buying & Selling and tagged Credit Union, Debt Management, First Financial Federal Credit Union, Monmouth and Ocean Counties by VP of Marketing and Business Development Jessica. Bookmark the permalink.